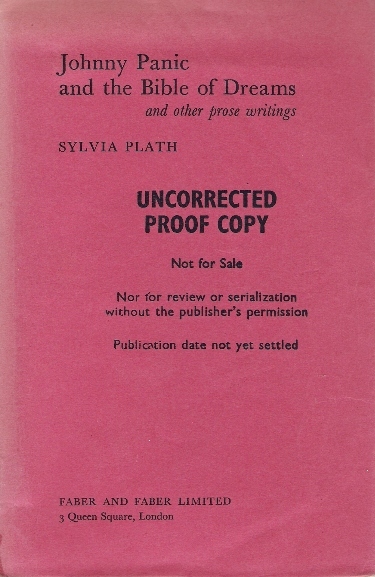 Proof of Heinemann edition, printed in 1962. 258 pages. 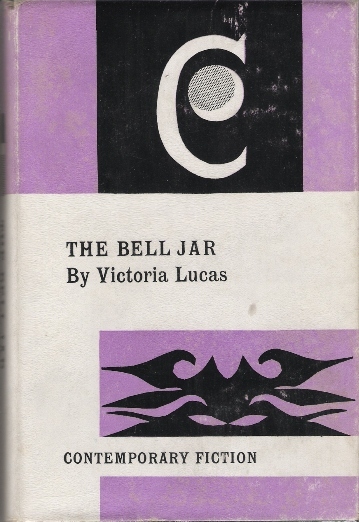 First Heinemann edition, published 14 January 1963 under the pseudonym Victoria Lucas. 'Readers Union edition,' published September 1964.258 pages. 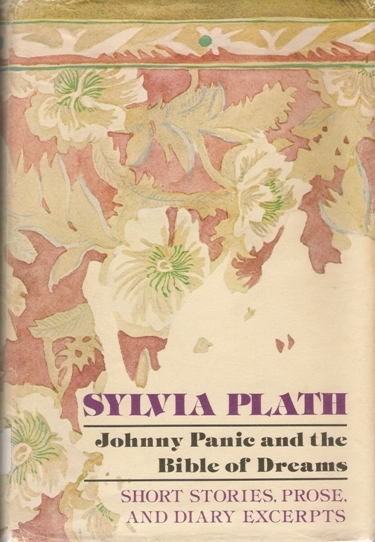 First Faber edition, published on 1 September 1966. 258 pages. 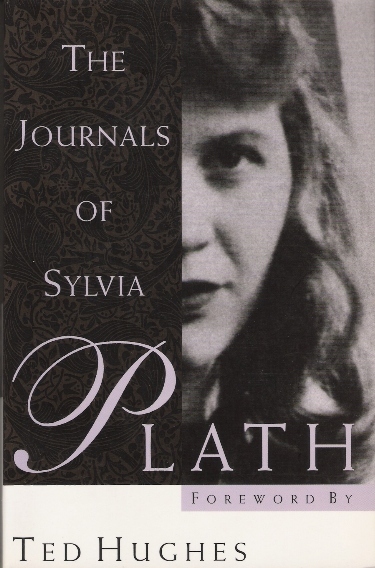 First time in print under Sylvia Plath's name. 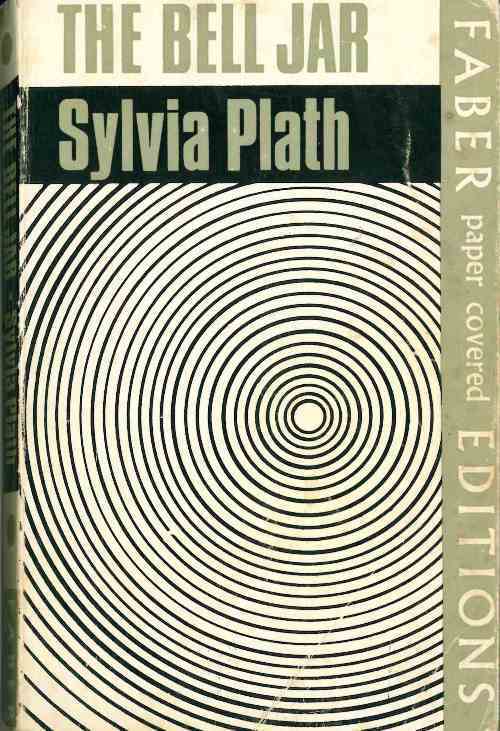 Faber paper covered edition, published in 1966. 258 pages. 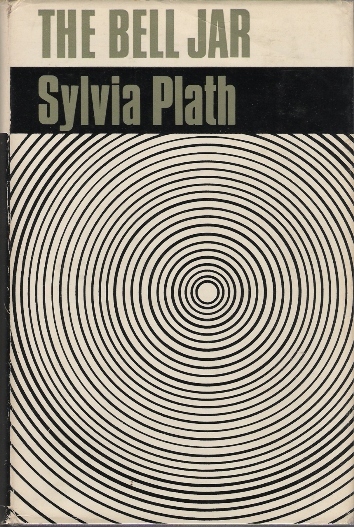 Faber paper covered edition, reprinted in 1967. 258 pages. 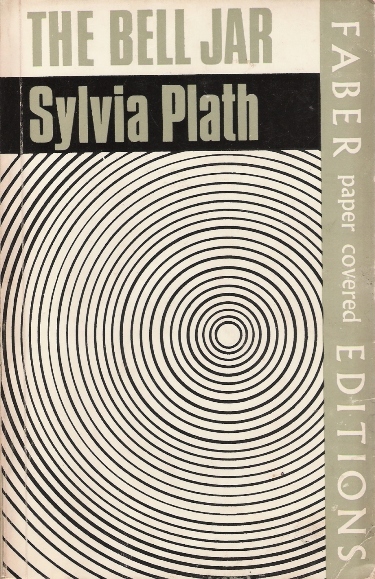 Faber paper covered edition, published in 1967. 258 pages. 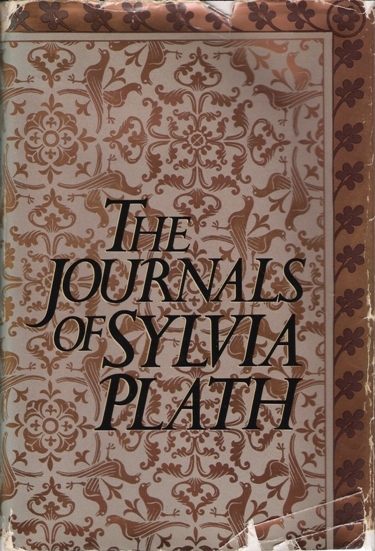 Faber paper covered edition, published in 1972. 258 pages. ISBN: 0-571-08178-9. 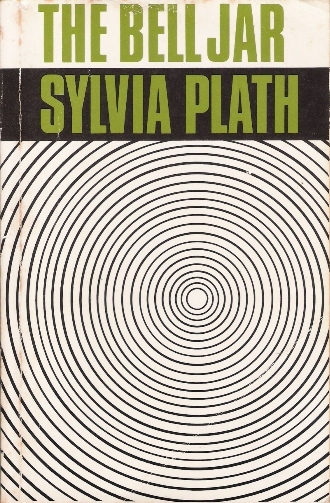 Faber paperback edition, published in 1974. 258 pages. ISBN: 0-571-08178-9. 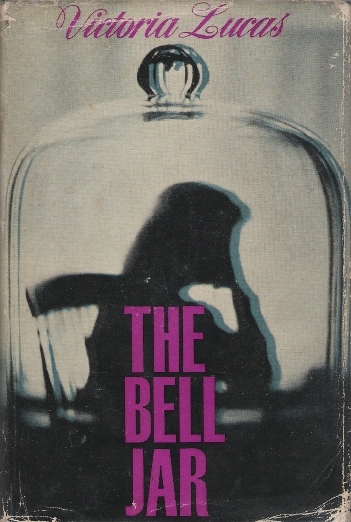 Faber paperback edition, published in 1976. 258 pages. ISBN: 0-571-08178-9. 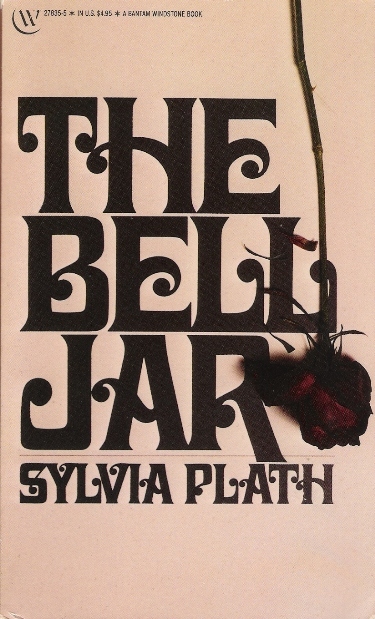 Faber paperback edition, published in 1977. 258 pages. ISBN: 0-571-08178-9. 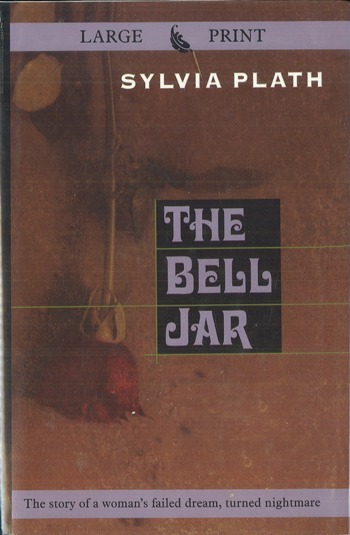 Faber paperback edition, published in 1980. 258 pages. ISBN: 0-571-08178-9. 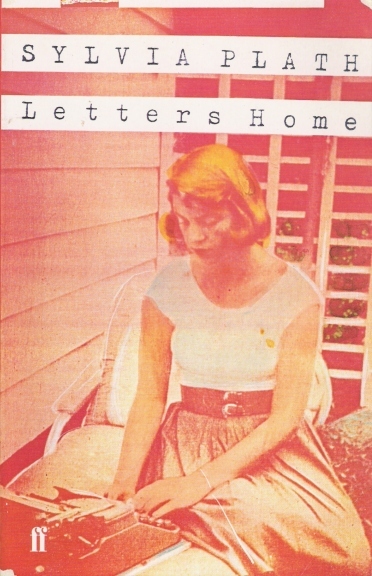 Faber paperback edition, published in the 1980s. 258 pages. ISBN: 0-571-08178-9. 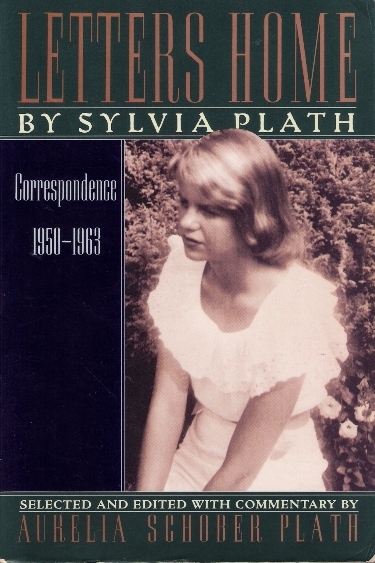 Faber paperback edition, published in the 1990s. 234 pages. ISBN: 0-571-08178-9. 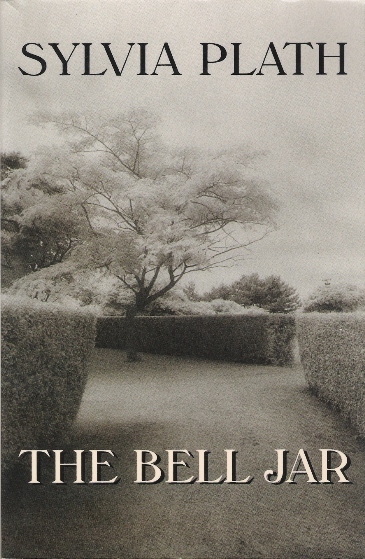 Faber Library edition, published in 1996. Hardback. 234 pages. ISBN: 0-571-08178-9. 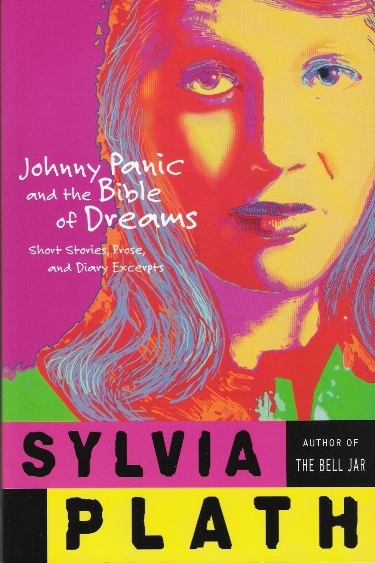 Faber paperback edition, published in 1999. 257 pages. ISBN: 0-571-20033-8. 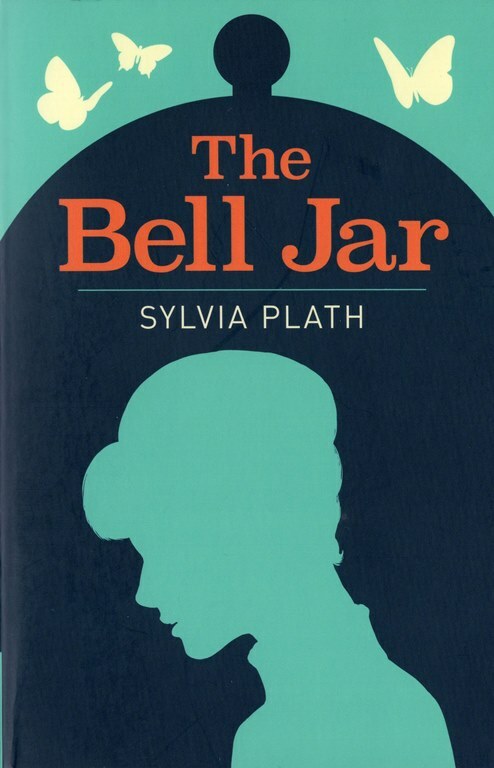 Faber paperback edition, published on 2 June 2005. 234 pages. ISBN: 978-0-571-22616-0. 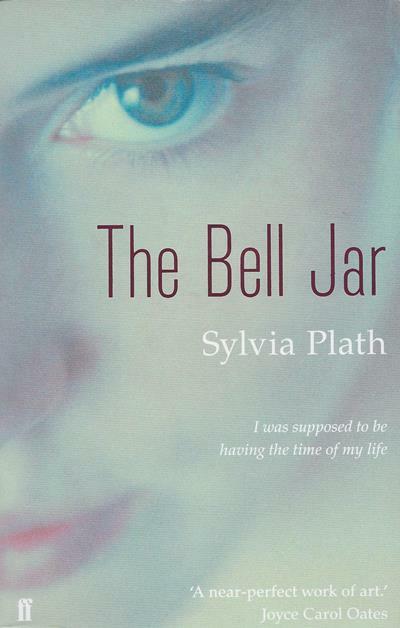 Paperback edition, published in 2005. 234 pages. ISBN: 978-0-571-22616-0. 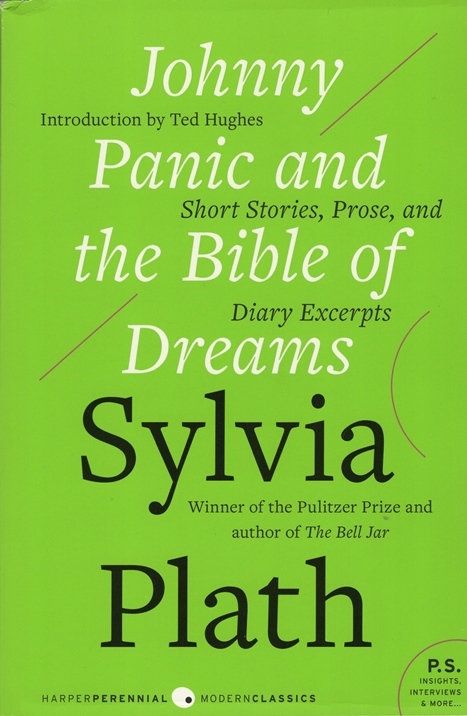 Faber Firsts edition, published on 7 May 2009. 234 pages. ISBN: 978-0-571-24564-2. 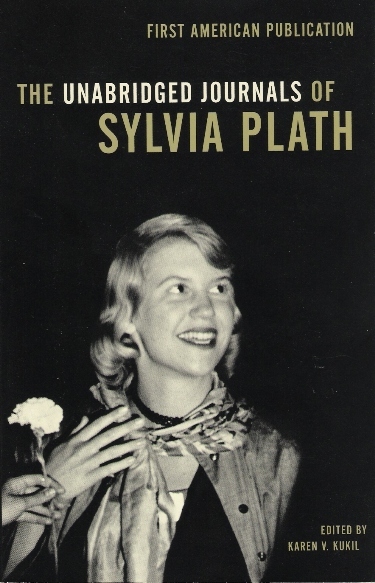 Faber, 50th Anniversary edition, published on 3 January 2013. 234 pages. ISBN: 978-0-571-26886-3. 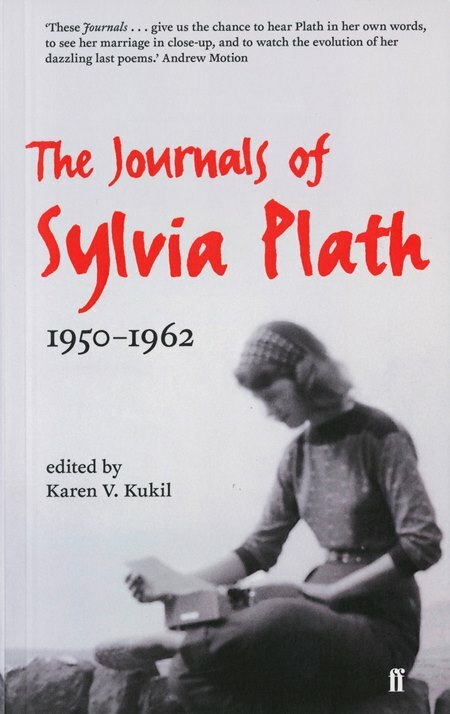 Hardback edition, published on 3 October 2013. 240 pages. ISBN: 978-0-571-30840-8. 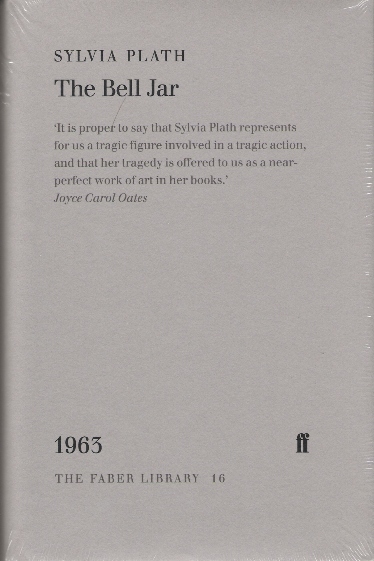 Faber Members edition, published on 27 August 2015. 240 pages. ISBN: 978-0-571-32780-5. 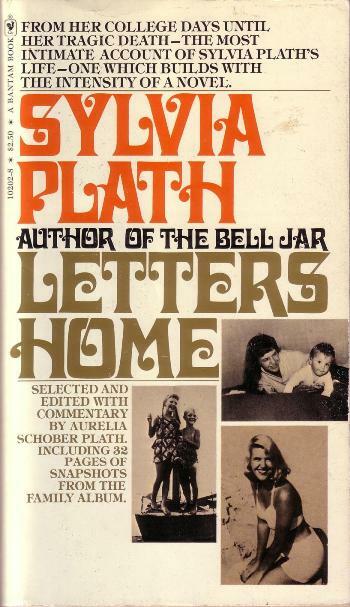 First Harper & Row (American) edition, published on 14 April 1971. Includes a 'Biographical Note' by Lois Ames and reproduces eight drawings by Plath. 296 pages. SBN: 06-013356-2. 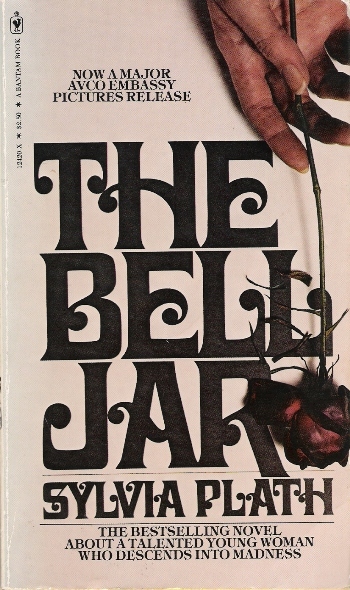 Literary Guild (Book Club) edition, published in July 1971. 311 pages. 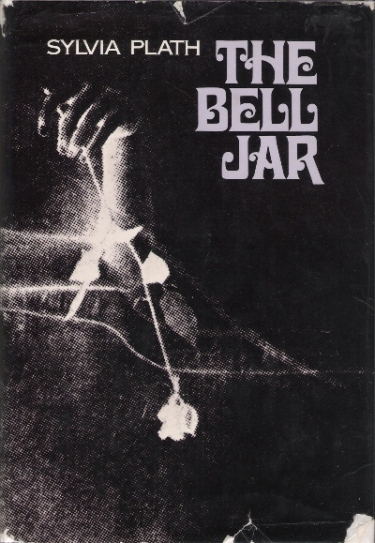 First paperback edition published by Bantam in April 1972. 216 pages. SBN: 553-07178-150..
Bantam movie tie-in edition, published in 1979. 216 pages. ISBN: 0-553-12420-X. 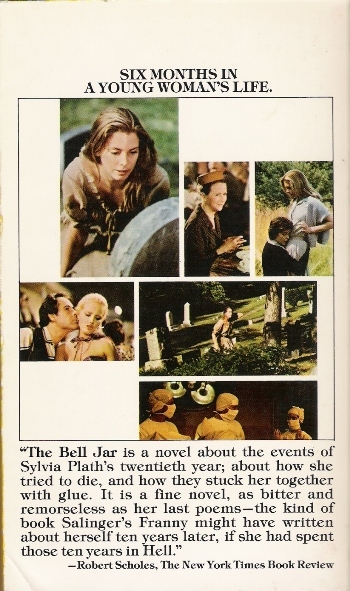 The back cover of the Bantam movie tie-in edition. 216 pages. ISBN: 0-553-12420-X. 39th printing from 1981. The covers have been redesigned, note the gloved hand has been removed. 216 pages. ISBN: 0-553-27835-5. 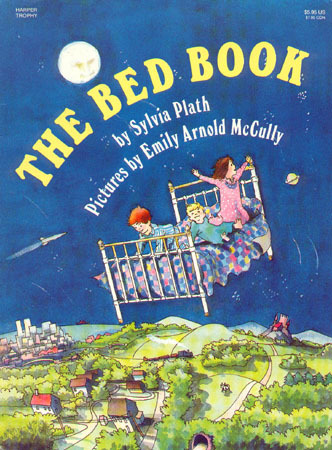 Windstone edition, published in the 1988. 216 pages. ISBN: 0-553-27835-5. 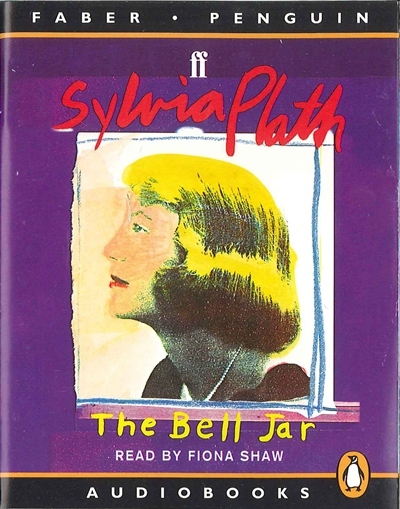 Quality Paperback club edition, published in 1993. 296 pages. 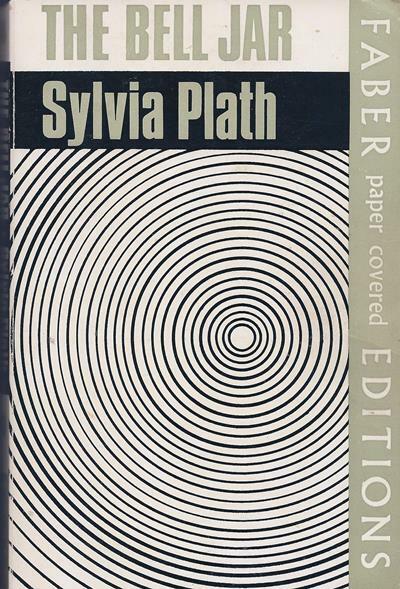 Harper 25th anniversary edition, published on 30 August 1996. 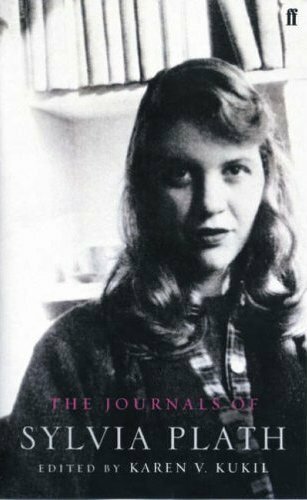 With a foreword by Frances McCullough. 296 pages. 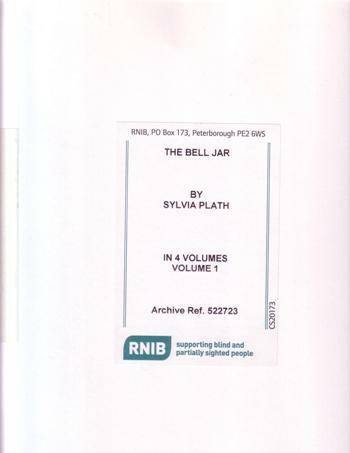 ISBN: 0-06-017490-0..
Harper 25th anniversary large print edition, published in 1996. 336 pages. 0-7838-1987-0. 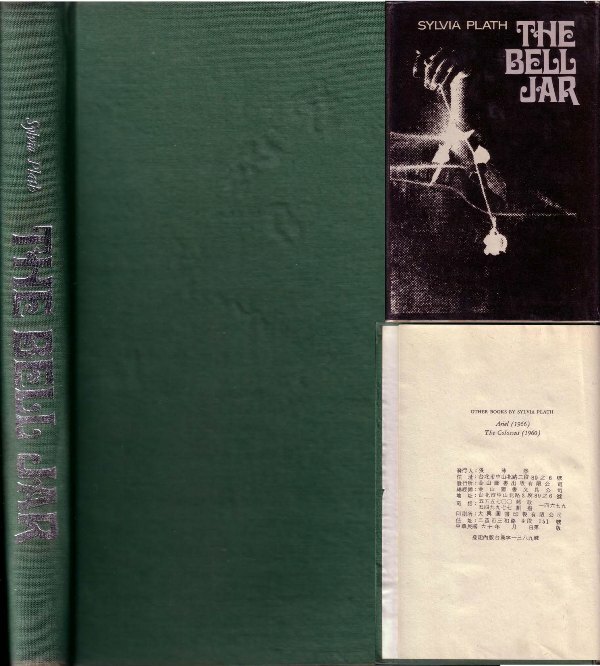 Knopf Everyman edition, published in 1998. 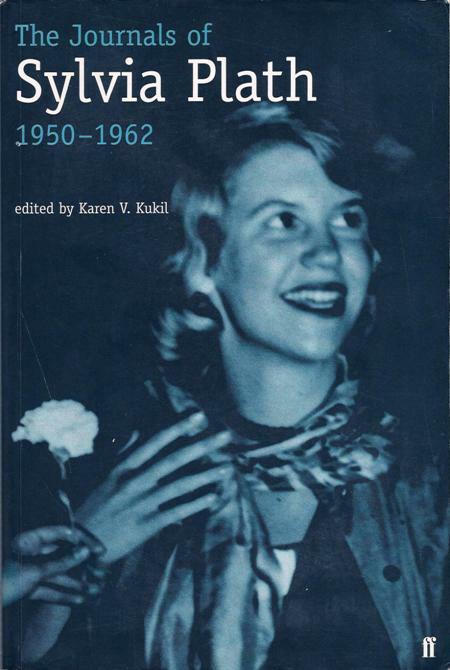 With a foreword by Diane Middlebrook. 229 pages. ISBN: 0-375-40463-5. 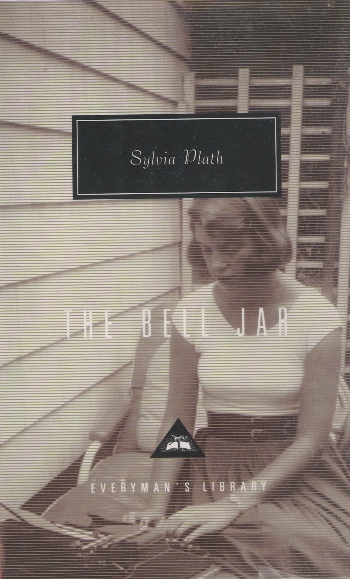 Harper Perennial Classics edition, published in 1999. 264 pages. ISBN: 0-06-093018-7. 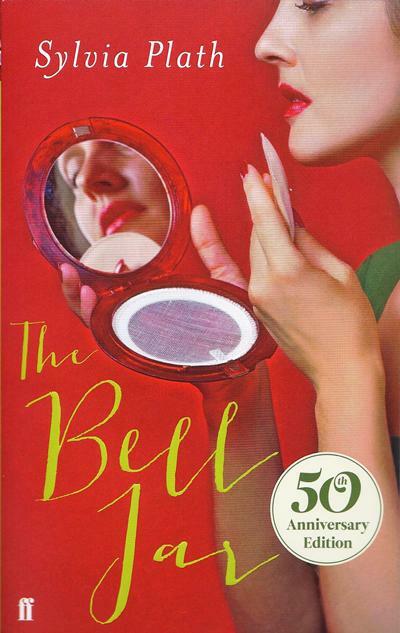 Harper Perennial Classics large print edition, published in 2003. 391 pages. ISBN: 0-06-057309-0. 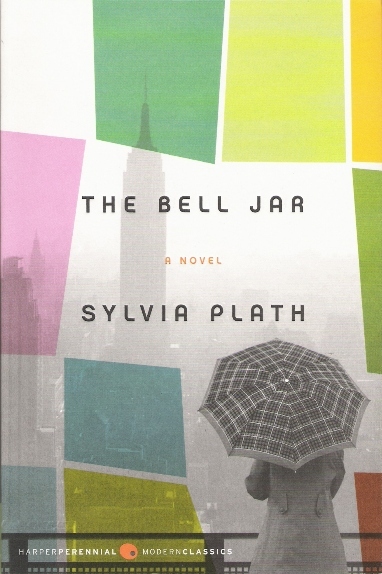 Harper Perennial Modern Classics edition, published in 2005. 260 pages. ISBN: 978-0-06-083702-0. 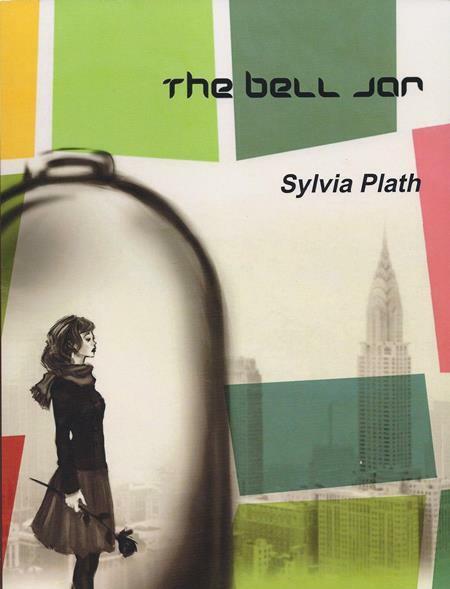 Harper Perennial Modern Classics edition, publihsed on 17 October 2006. 266 pages. ISBN: 978-0-06-114851-4. 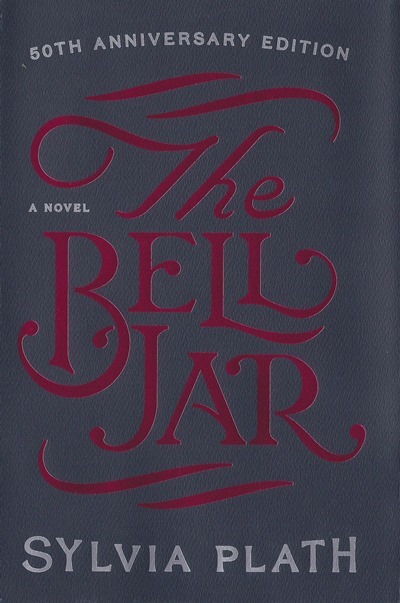 Harper Olive edition, published in 2009. 306 pages. 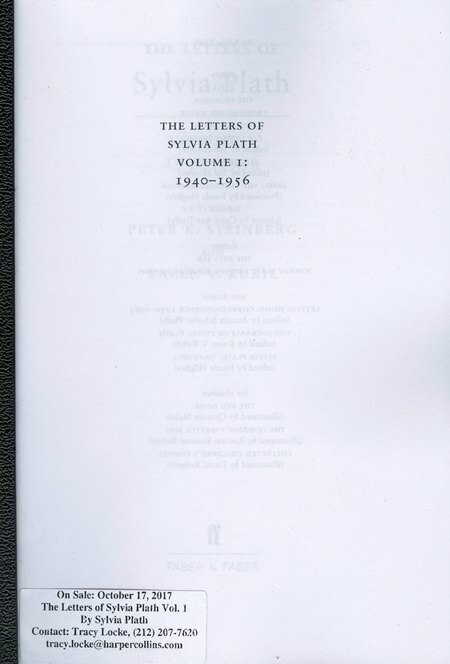 ISBN: 978-0-06-184990-9. 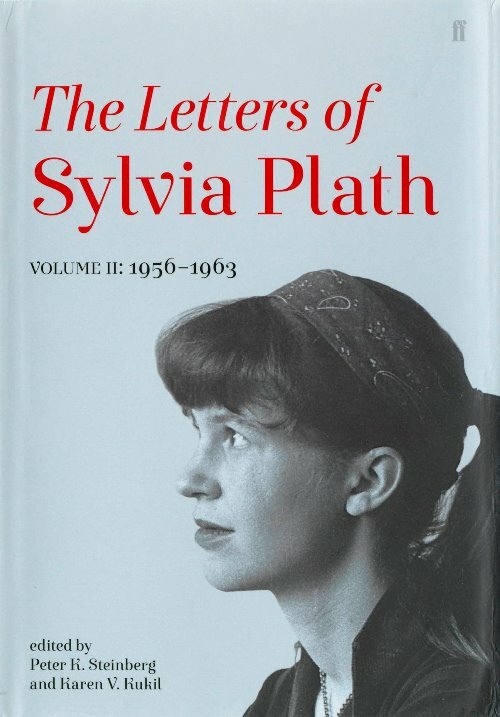 Harper 50th Anniversary edition, published on 11 June 2013. 320 pages. ISBN: 978-0-06-017490-3. Hardback. 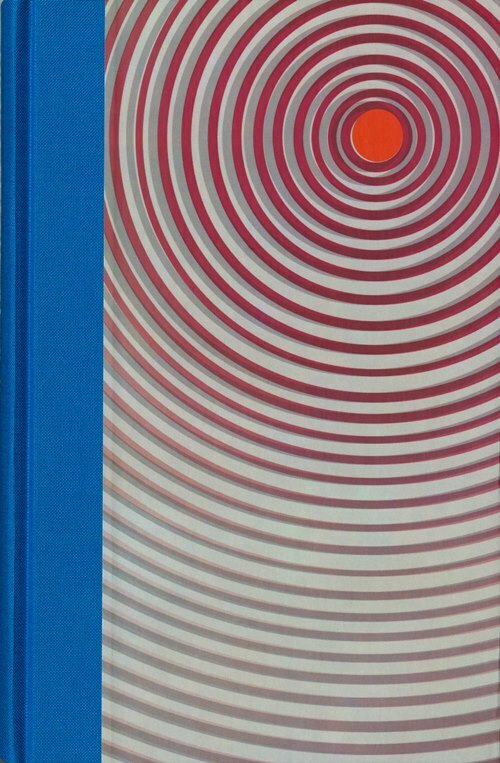 Harper 50th Anniversary edition, published on 11 June 2013. 320 pages. ISBN: 978-0-06-017490-3. Papberback. 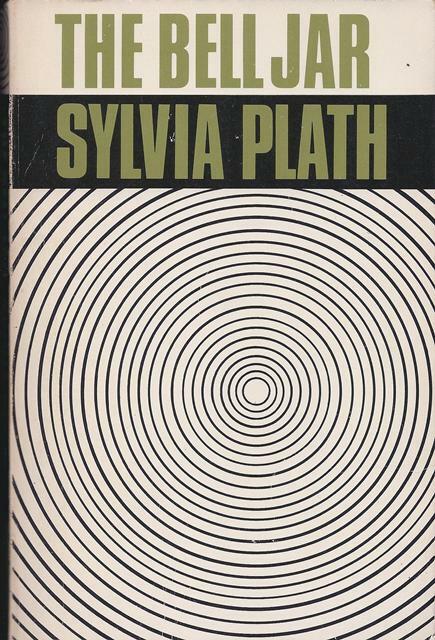 Pirated edition printed in Taiwan circa 1971. 296 pages. SBN: 6-013356-2. 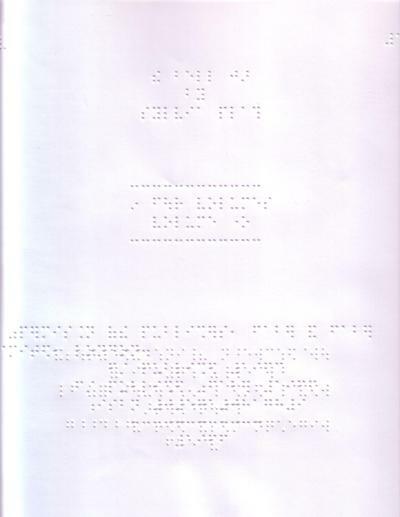 Title page of the Braille edition. 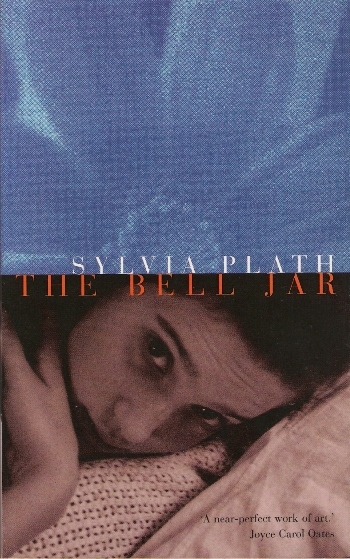 Audio edition read by Fiona Shaw, published 22 July 1996. 2 cassettes, abridged. 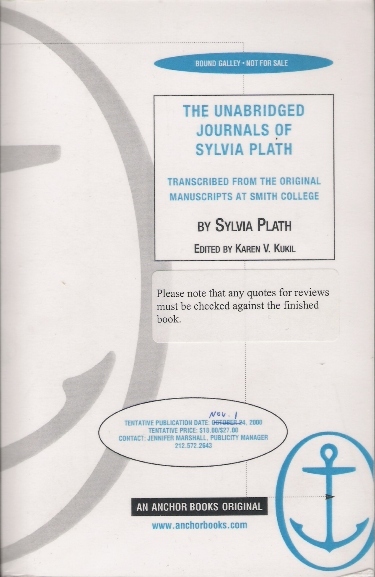 ISBN: 978-0140864090. 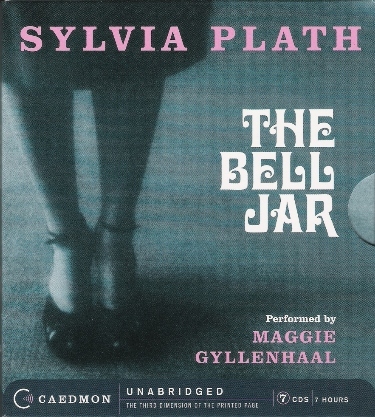 Audio edition read by Maggie Gyllenhall, published on 28 February 2006. 7 compact discs, 7 hours. ISBN: 978-0-06-087877-1. 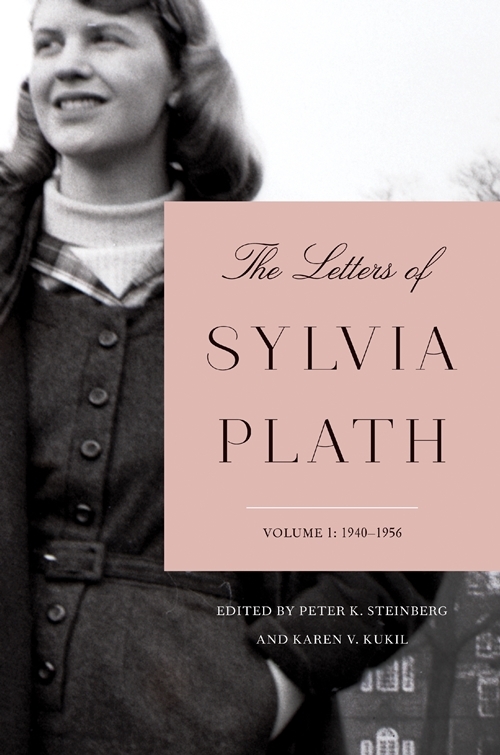 Stellar Classics, 2013; printed in Australia; unpaginated. ISBN: 978-80-87-888146. 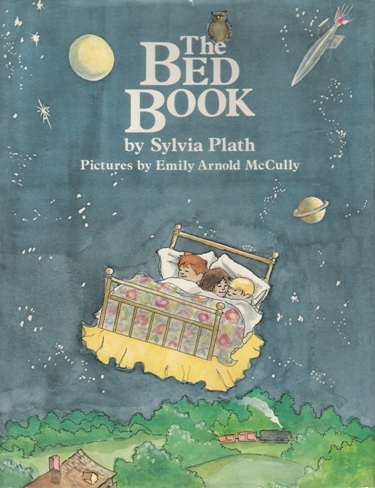 Indigo Books edition. ISBN: 978-1-849-31096-3. 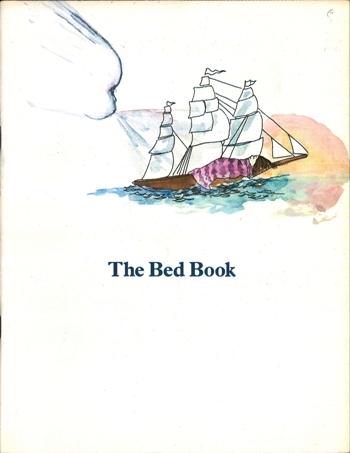 First Faber edition, published on 20 April 1976. 502 pages. ISBN: 0-571-10611-0. 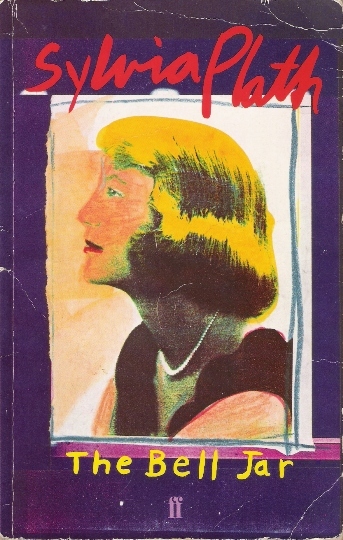 Faber paperback edition, published in 1978. 502 pages. ISBN: 0-571-11219-6. 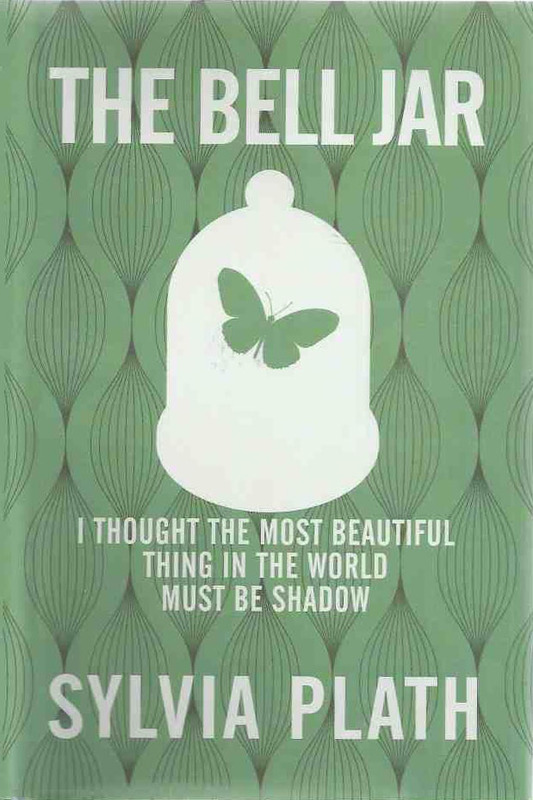 Faber paperback edition, published on 19 April 1999. 517 pages. ISBN: 0-571-20115-6. 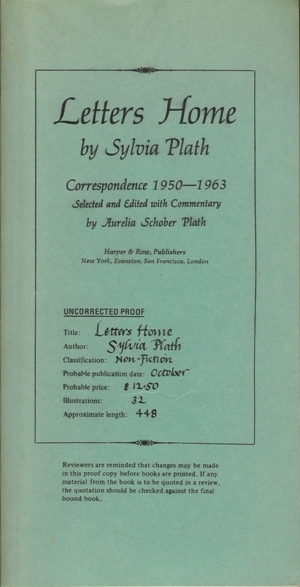 Proof of Harper & Row edition, printed circa 1975. 437 pages. 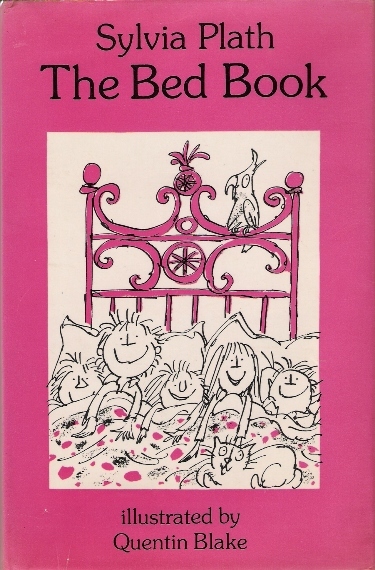 First Harper & Row edition, published on 3 December 1975. 502 pages. ISBN: 0-06-013372-4. 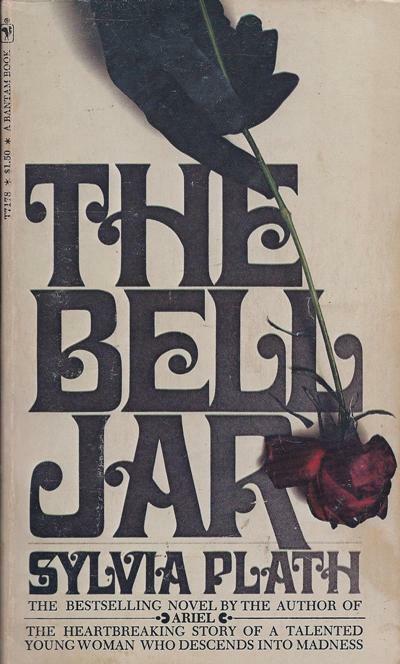 Bantam paperback edition, published in 1977. 589 pages. ISBN: 0-553-10202-8. 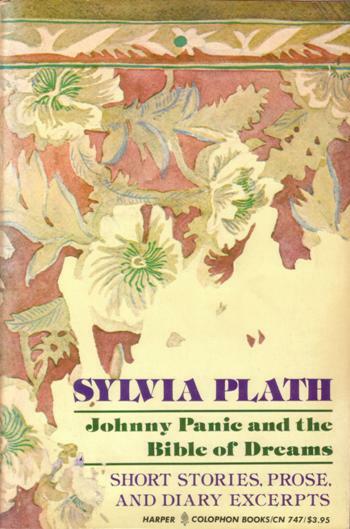 Harper paperback edition, published on 28 February 1992. 502 pages. ISBN: 0-06-097491-5. 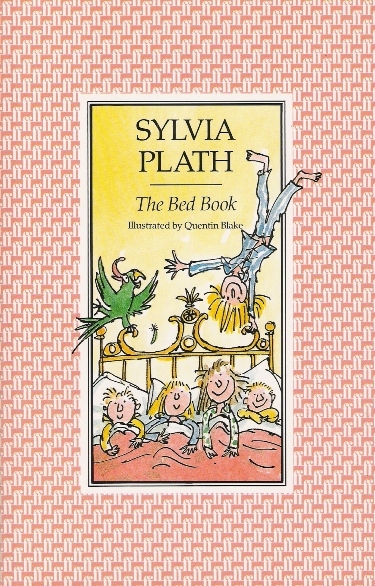 First Faber edition, published on 5 October 2017. ISBN: 978-0-571-32899-4. 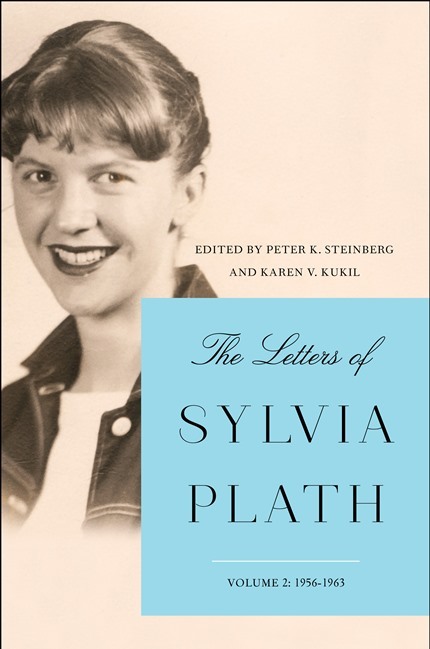 HarperCollins galley proof, published on 17 October 2017. ISBN: 978-0-062-74043-4. 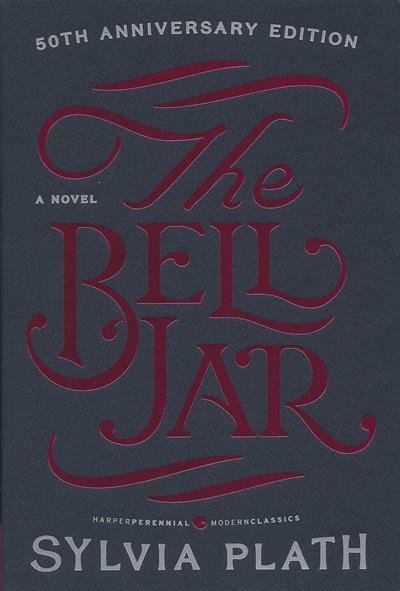 First HarperCollins edition, published on 17 October 2017. ISBN: 978-0-062-74043-4. 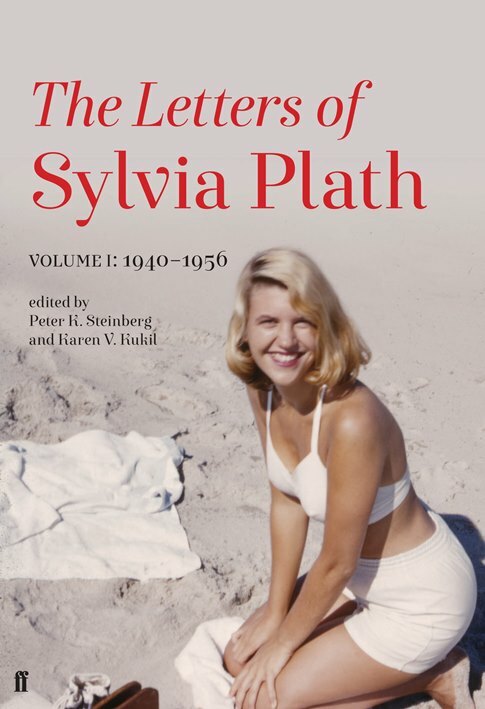 First Faber edition, published on 6 September 2018. ISBN: 978-0-571-33920-4. 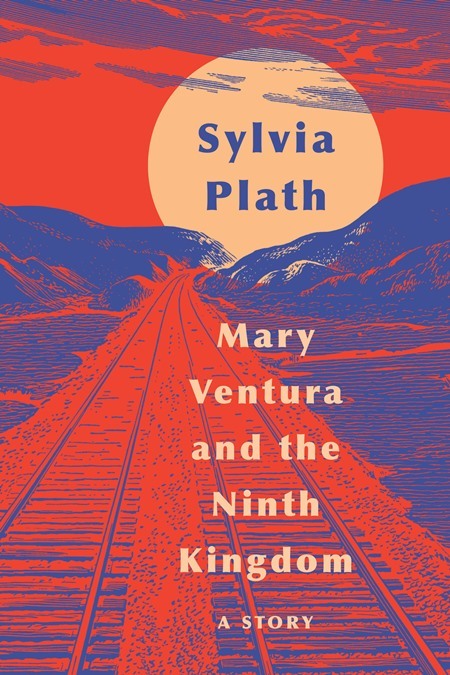 First HarperCollins edition, published on 30 October 2018. ISBN: 978-0-06-274058-8. 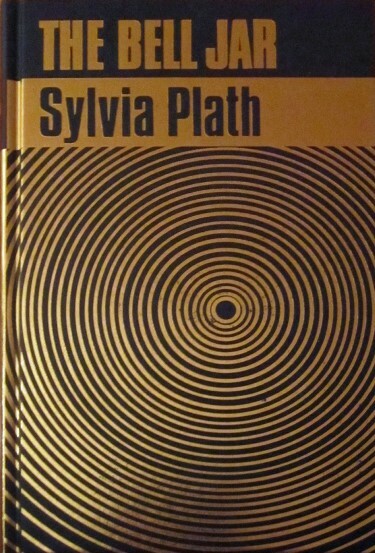 Proof copy of Faber edition; printed circa 1977. 250 pages. 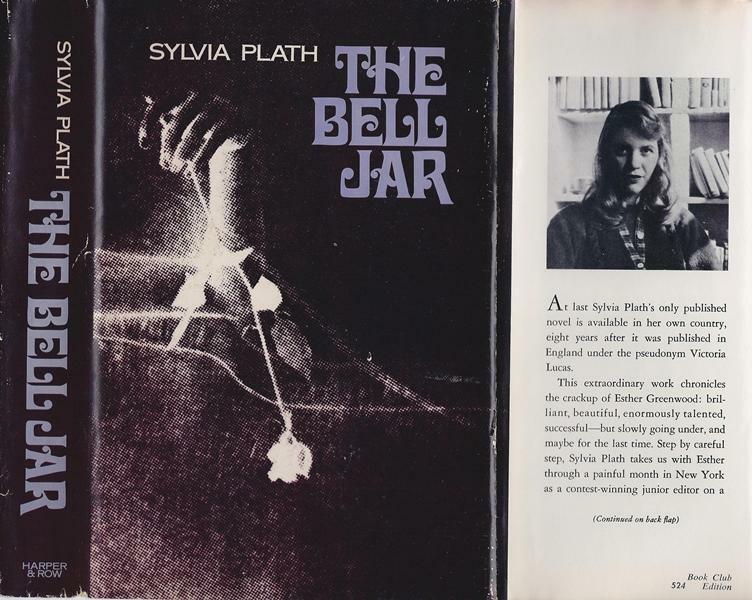 First Faber edition, published in 17 October 1977. 250 pages. ISBN: 0-571-11120-3. 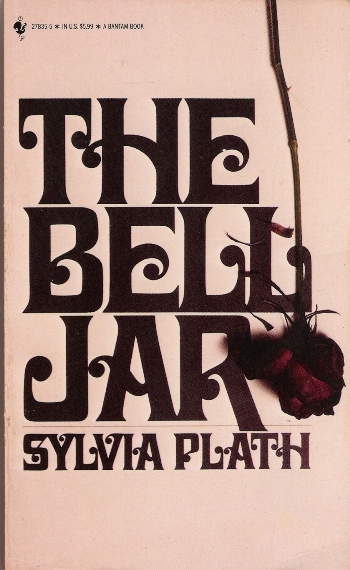 Faber paperback edition, published on 23 April 1979. 352 pages. ISBN: 0-571-04989-3. Includes nine stories not printed in the first edition. 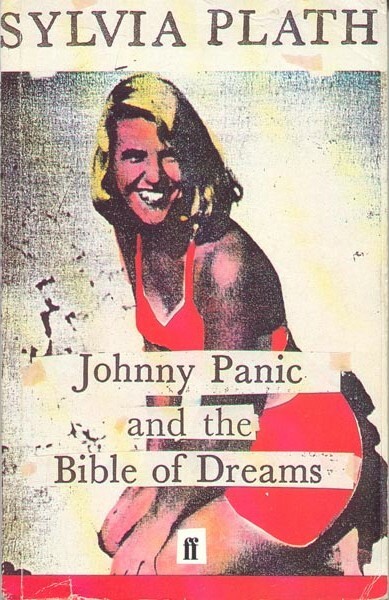 Faber paperback edition, published in the 1980s. 352 pages. ISBN: 0-571-04989-3. 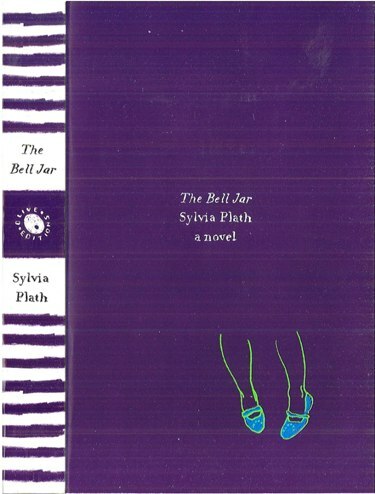 Faber paperback edition, published on 9 April 2001. 352 pages. ISBN: 0-571-04989-3. 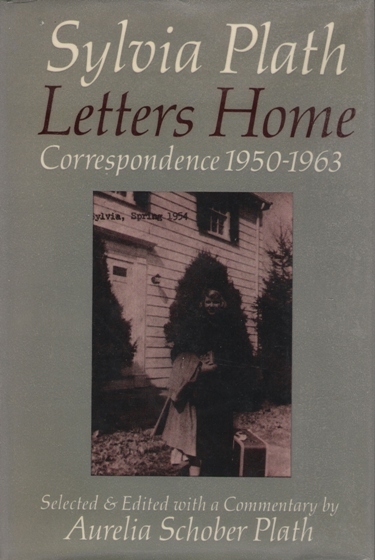 Proof copy of Harper & Row edition, printed circa 1978. 312 pages. 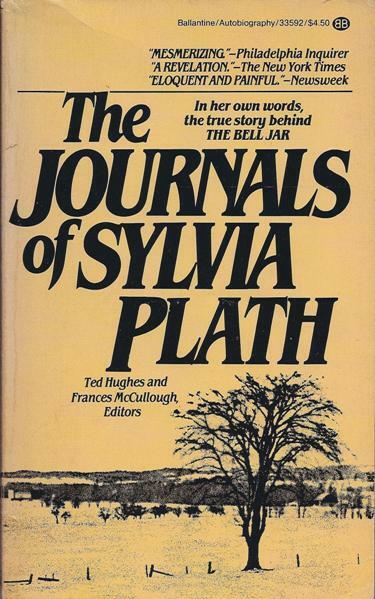 First Harper & Row edition, published on 3 January 1979. 312 pages. ISBN: 0-06-013377-5. Harper Colophon Books series paperback edition, published in 1980. 313 pages. ISBN: 0-06-090747-9. 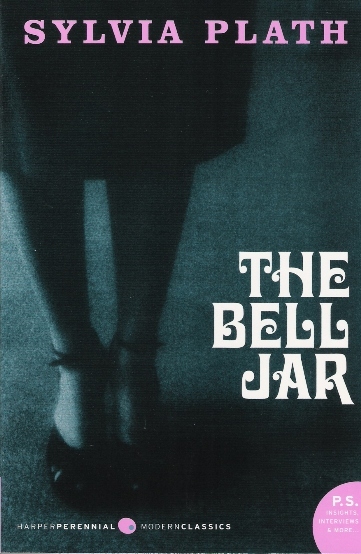 First HarperPerennial paperback edition, published on 2 February 2000. 328 pages. 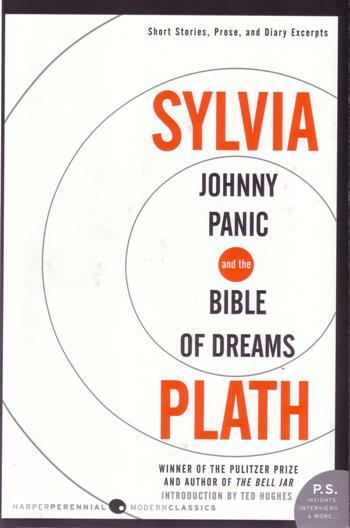 ISBN: 0-06-095529-5..
First HarperPerennial Modern Classics paperback edition, published on 2 September 2008. 346 pages. ISBN: 978-0-06-154947-2. 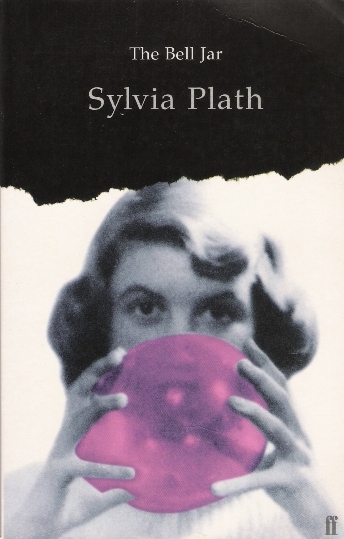 First HarperPerennial Modern Classics paperback edition, published on 6 March 2918. 352 pages. ISBN: 978-0-06-154947-2. 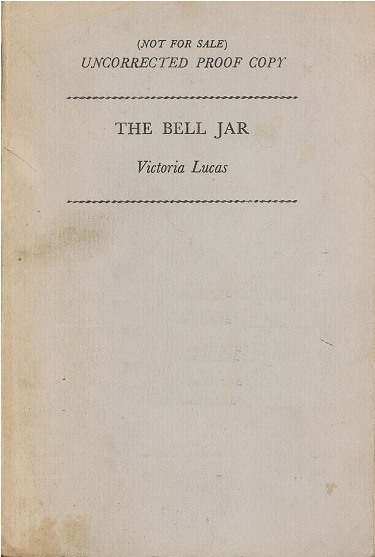 First Faber edition, published on 3 January 2019. ISBN: 978-0-571-35173-2. 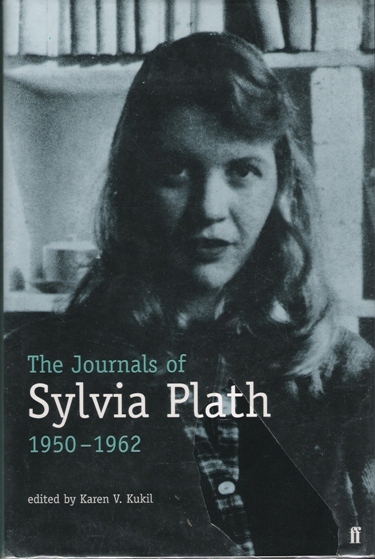 First Harper edition, published on 15 January 2019. ISBN: 978-0-06-294083-4. 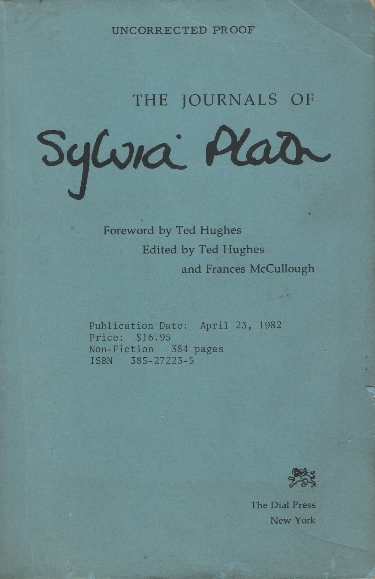 Proof of Dial edition, printed circa 1982. 370 pages. ISBN: 385-27223-5. 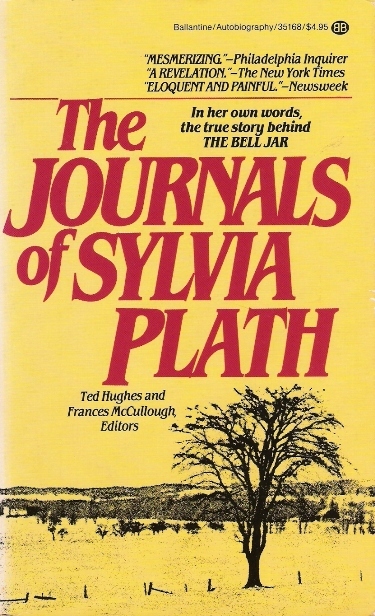 First Dial Press edition, published on 31 March 1982. 370 pages. ISBN: 0-385-27223-5. 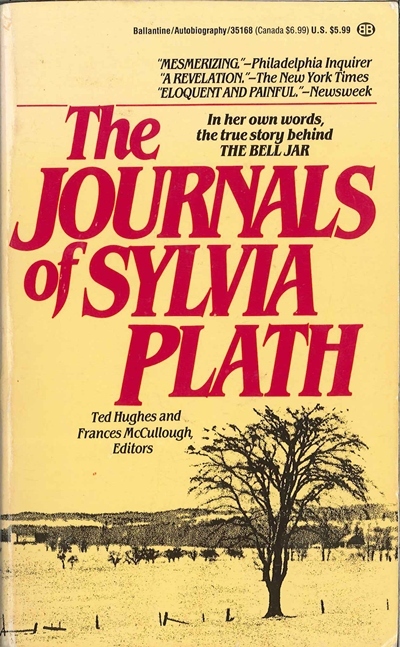 Ballantine paperback edition, published in 1985. 368 pages. ISBN: 0-345-33592-9. 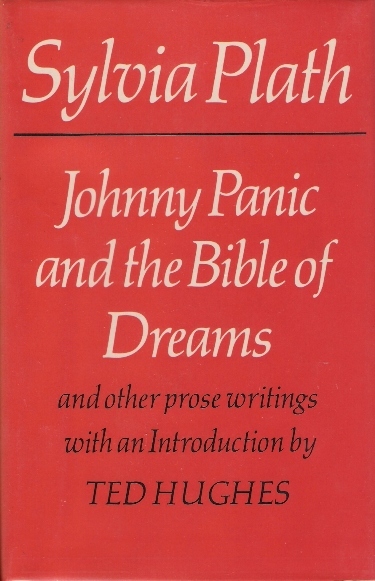 Ballantine paperback edition, published in 1987. 368 pages. ISBN: 0-345-35168-1. 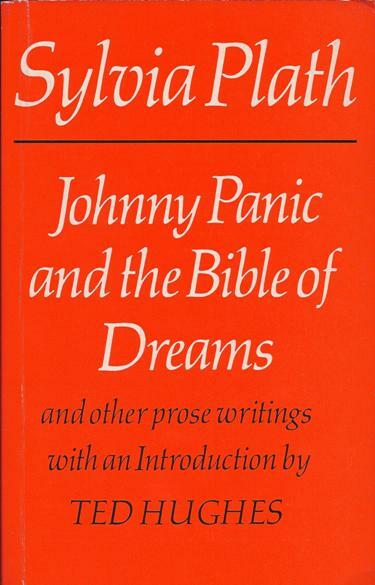 Ballantine paperback edition, published in 1991. 8th printing. 368 pages. ISBN: 0-345-35168-1. 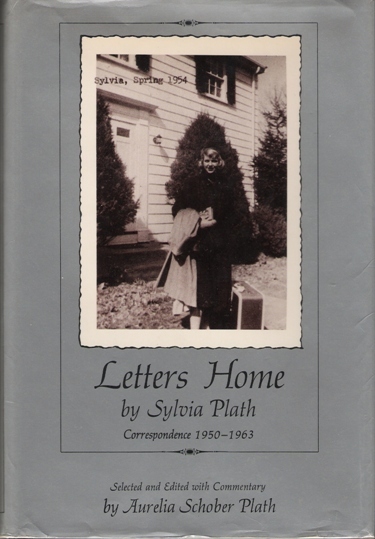 First Anchor edition, published on 11 May 1998. 370 pages. ISBN: 0-385-49391-6. 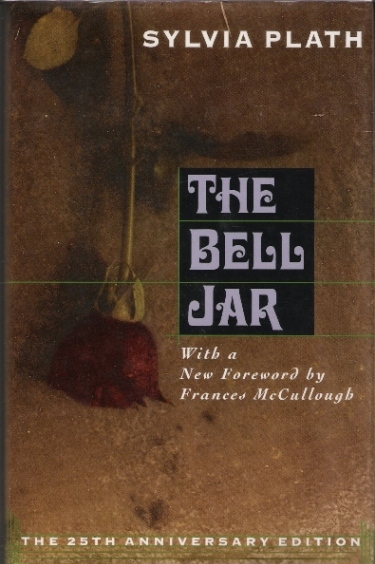 First Faber edition, published on 1 April 2000. 732 pages. 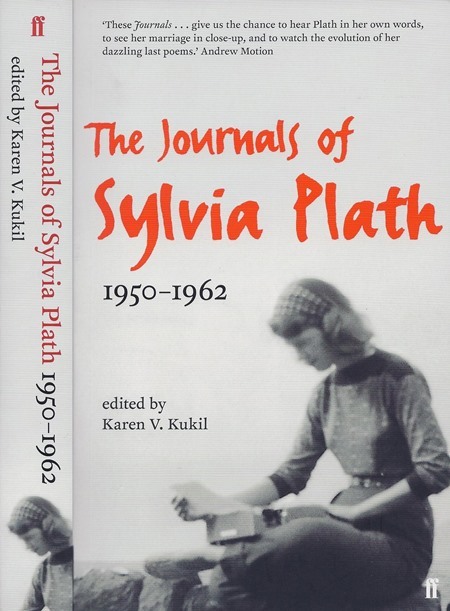 ISBN: 0-571-19704-3. 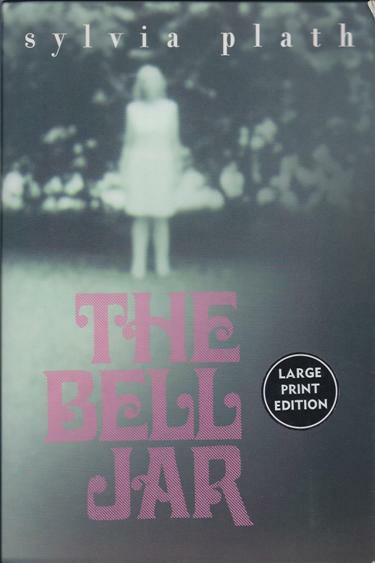 First Faber paperback edition, published on 9 April 2001. 732 pages. ISBN: 0-571-20521-6. 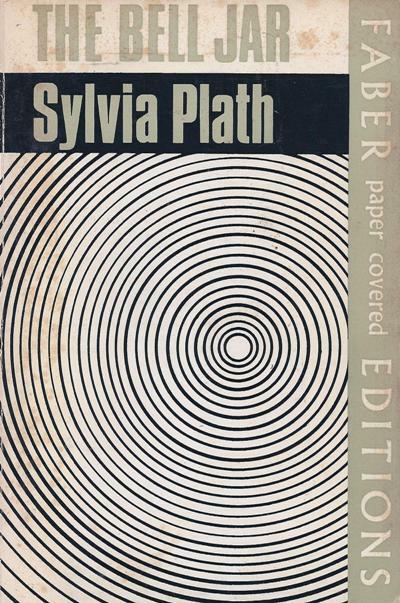 Faber paperback edition, published (?) in 2005. 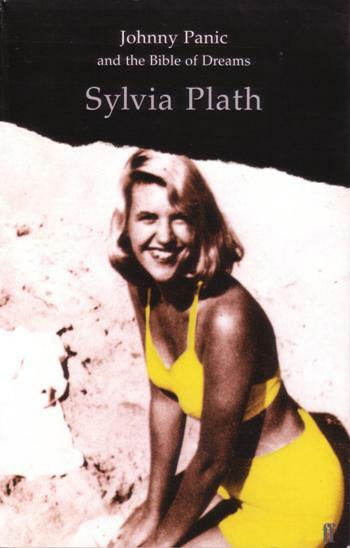 Faber paperback edition, published on 7 November 2013. 752 pages. ISBN: 978-0-571-30163-8. 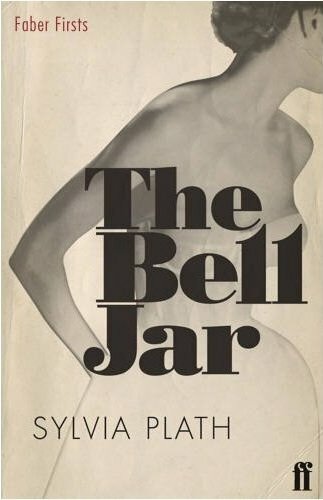 Faber paperback edition, published in 2014. 752 pages. ISBN: 978-0-571-30163-8. Proof copy of Anchor edition, published circa 2000. 732 pages..
First Anchor edition, published 17 October 2000. 732 pages. ISBN: 0-385-72025-4. 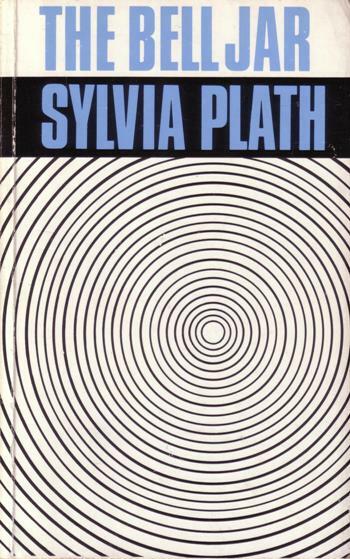 First Faber edition, published on 23 February 1976. Unpaginated [40 pages]. ISBN: 0-571-10929-2. 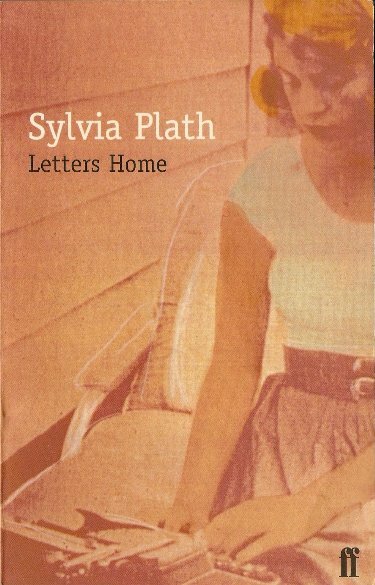 Faber paperback edition, published in 1986. Unpaginated . ISBN: 0-571-14553-1. 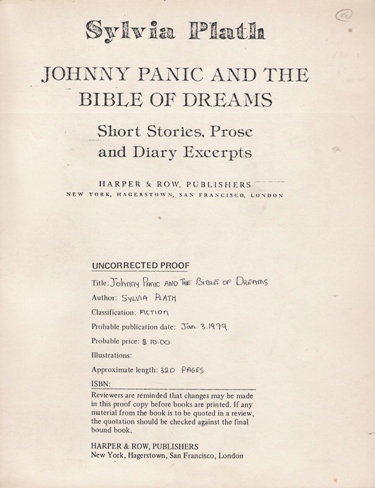 Proof copy of Harper & Row edition, printed circa 1976. Unpaginated [40 pages]. 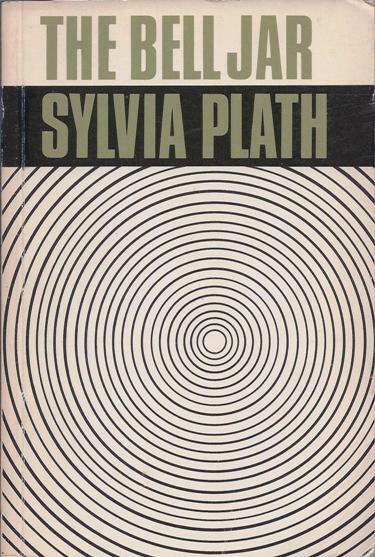 ISBN: 0-06-024746-0..
First Harper & Row edition, published on 6 October 1976. Unpaginated [40 pages]. ISBN: 0-06-024746-0. Harper Trophy edition, published in the 1980s. ISBN: 0-44-084090-2. 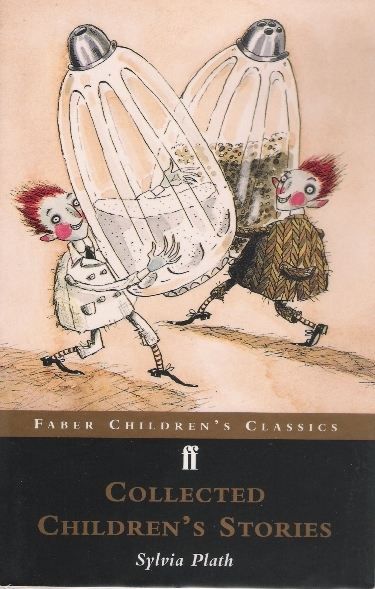 First Faber edition, published on 4 March 1996. 41 pages. ISBN: 0-571-16613-X. 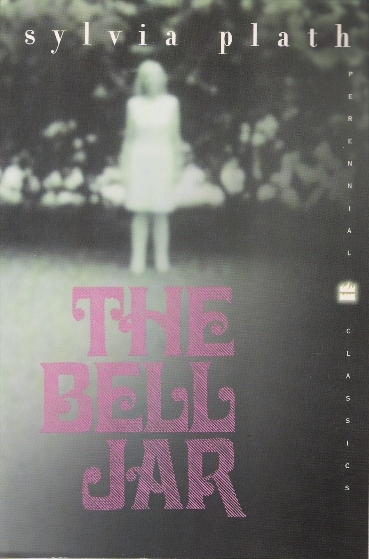 First Faber paperback edition, published on 17 November 1997. 43 pages. ISBN: 0-571-19060-X. 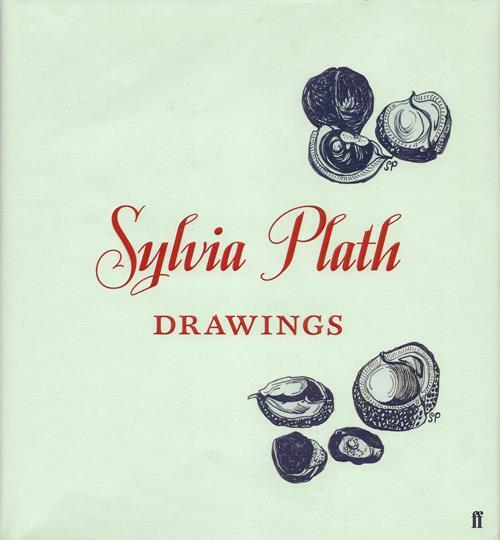 First St. Martin's Press edition, published on 27 May 1996. 41 pages. ISBN: 0-312-14189-0. 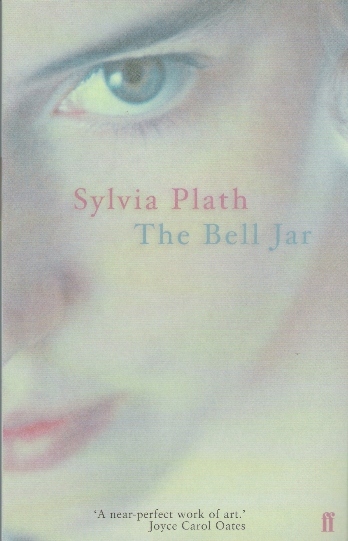 Faber paperback edition, first published in 9 April 2001. Includes the story 'Mrs. Cherry's Kitchen,' published for the first time. 54 pages. ISBN: 0-571-20756-1. 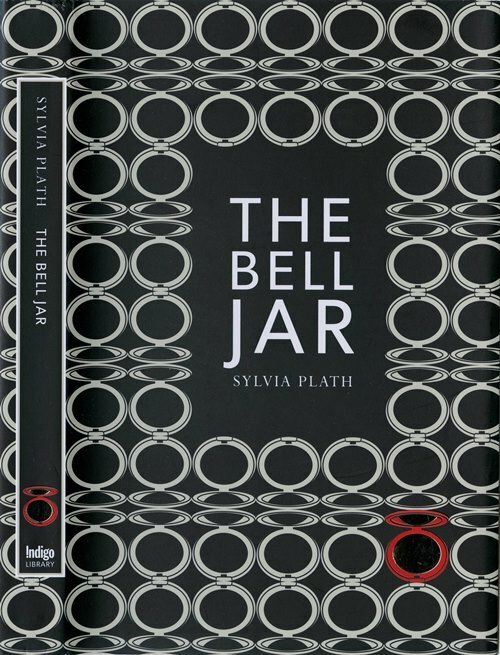 Faber Classics edition, published in 6 November 2014. 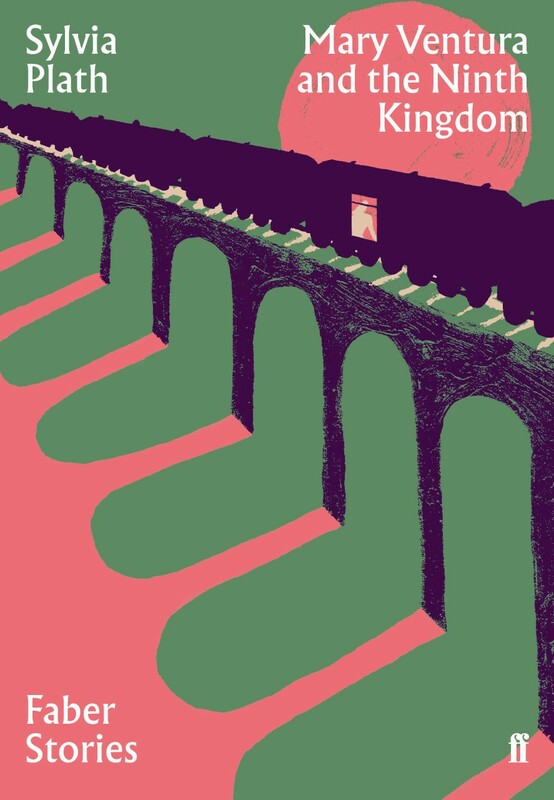 Faber & Faber, published on 5 September 2013. 72 pages. ISBN: 978-0571-29521-0. Harper, published on 5 November 2013. 72 pages. ISBN: 978-0-06-231570-0.